In 1992, more than 100 leaders of state met in Rio de Janeiro, Brazil for the United Nations Conference on Environment and Development (UNCED). The Earth Summit was organized to address urgent problems of environmental protection and socio-economic development. The assembled leaders signed the Framework Convention on Climate Change and the Convention on Biological Diversity; endorsed the Rio Declaration and the Forest Principles; and adopted Agenda 21, a 300-page plan for achieving sustainable development in the 21st century. 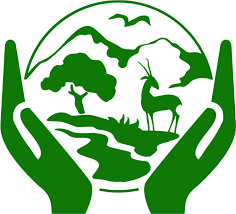 The Commission on Sustainable Development (CSD) was created in December 1992 to guarantee effective follow-up of UNCED; to monitor and report on implementation of the Earth Summit agreements at the local, national, regional and international levels. The CSD is a functional commission of the UN Economic and Social Council (ECOSOC), with 53 members. It was agreed that a five-year review of Earth Summit progress would be made in 1997 by the United Nations General Assembly meeting in special session. In 2002 a second 5-year review is due to take place.